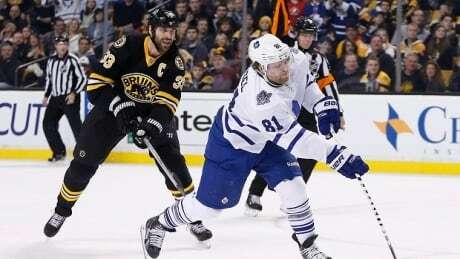 The Maple Leafs earned a gritty victory in Boston, the Jets were outdone at home by the Islanders, and the Flames and Oilers squared off in another edition of the battle of Alberta. 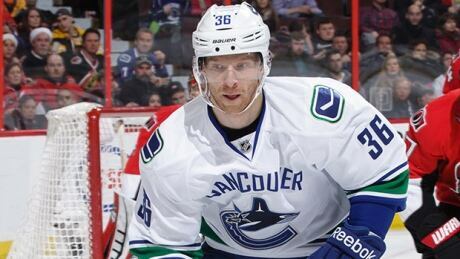 Vancouver Canucks forward Jannik Hansen has been fined $5,000 for an illegal check to the head of San Jose Sharks forward Tommy Wingels. 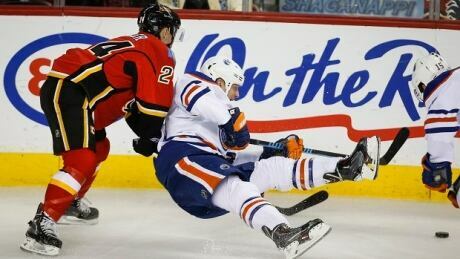 Josh Jooris scored at 1:08 of overtime to lead the Calgary Flames to a wild 4-3 win over the Edmonton Oilers on Wednesday. 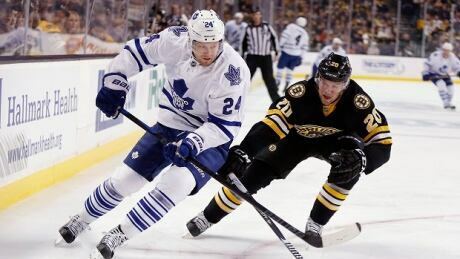 Nazem Kadri and Mike Santorelli each scored in the shootout, lifting the Toronto Maple Leafs to a 4-3 victory over the Boston Bruins on Wednesday night. The fierce rivalry between the Pittsburgh Steelers and Baltimore Ravens has taken to the postseason on three previous occasions. Doug Marrone, who coached the Buffalo Bills to their first winning NFL season in a decade, has opted out of his contract, club owner Terry Pegula announced. The Bills went 15-17 in two campaigns under Marrone, a former assistant coach for the New Orleans Saints and New York Jets. Marrone, 50, departs with five NFL clubs in search of a coach and could be a candidate for some of those vacancies. The Columbus Blue Jackets have signed left wing Nick Foligno to a six-year contract extension worth a reported $33 million US through the 2020-21 season. 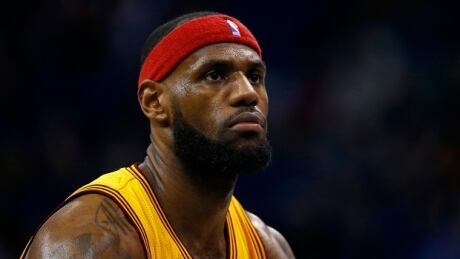 LeBron James ended the year with a night off for his sore left knee and an assurance that he has no plans to run away from the Cavaliers. The last time the Cincinnati Bengals won a playoff game, Boomer Esiason was under center and handing the ball off to Ickey Woods. You are currently browsing the Sportspool.com Sports News blog archives for December, 2014.